A circular released by TSC enumerates the pay rise of teaches in July 2018 in different job groups for secondary and primary school teachers. The circular is in pdf format and is available at muthurwa.com but below are the summarized details of the Salary Structure. Find below a list of how teachers in Kenya will get their salary increase starting from July 2018 to 2021. As mentioned earlier, you can download the complete TSC new salary structures for teachers in pdf format at muthurwa.com. The salary scale forms part of the implementation of the Collective Bargaining Agreement (CBA) signed between teachers unions (KNUT) and (KUPPET) and SRC/TSC/Ministry of education. 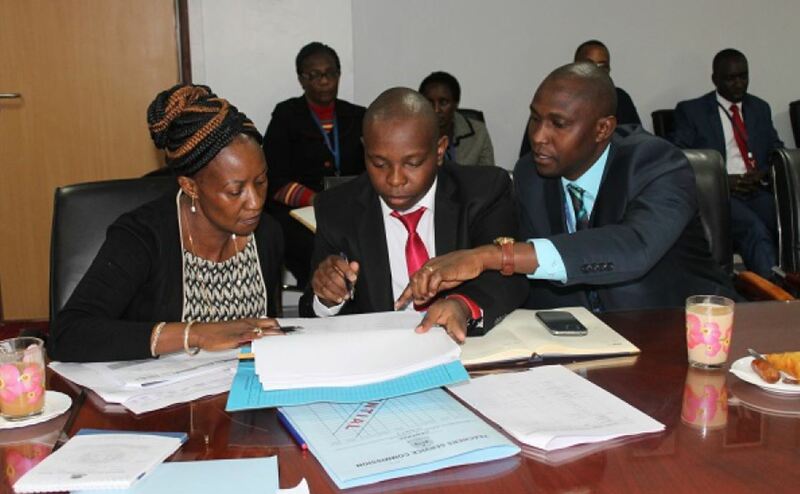 Senior principals, Job Group P (D4): salary will increase from Sh109,249, to Sh114,632. Primary teacher I, secondary teacher III in Job Group H and J who used to earn between Sh25,929 to Sh31,956 will have a pay increase ranging from Sh27,195 to Sh33,994. Primary teacher II who earn between Sh19,224 to Sh24,250 get a pay increase from Sh21,756 to Sh27,195. Over 312,060 teachers are expected to start receiving the pay rise from 1st July 2018. The teachers salary increment will run to 2021.